Victor Reinz development goals in engine construction, determine the requirements of modern gasket systems. Victor Reinz supplies cylinder head gasket for all conventional passenger car and commercial vehicle engines. As an original equipment manufacturer and replacement part supplier, Dana delivers innovative sealing technologies of the highest quality under the brand name Victor Reinz®. All spare parts in the comprehensive product range meet the high standards of OEM quality. Nearly all the familiar brands and models of automobile manufacturers worldwide are equipped with the professional sealing solutions from Dana in the areas of engines and exhaust systems. Dana’s customers can rely on getting the best service. That includes not only individual advice, but also fast delivery of the desired parts. Highly dedicated employees fulfil the customer’s needs with great innovative power, concentrated expertise, and, above all, constant passion. 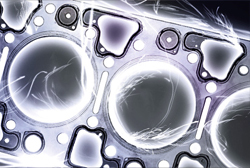 Multi-layer steel (MLS) cylinder-head gaskets – innovative sealing solutions for new engine designs. 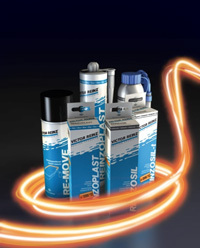 Increasing torque and performance with decreasing consumption and emissions. The development goals in engine construction determine the requirements of modern gasket systems. As a leader in technology, an original equipment manufacturer transfers all of his expertise, experience and quality into the replacement parts business. With a broad product palette, VICTOR REINZ supplies cylinder head gaskets for all conventional passenger car and commercial vehicle engines. Cylinder-head bolts guarantee a secure and releasable joint. However, this does not mean that the same bolt can be reused for the same application. When reassembling a cylinder head, always make sure to use new head bolts. The result will be a high sealing pressure surface for a reliable and tight joint. Make sure to use head bolts exclusively from quality manufacturers. 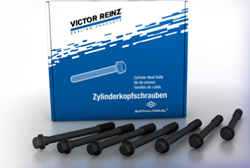 Victor Reinz cylinder-head bolts comply with all manufacturer specifications, and are matched perfectly to our head gasket sets. Of course, the torquing guidelines are always supplied – available in 12 languages.